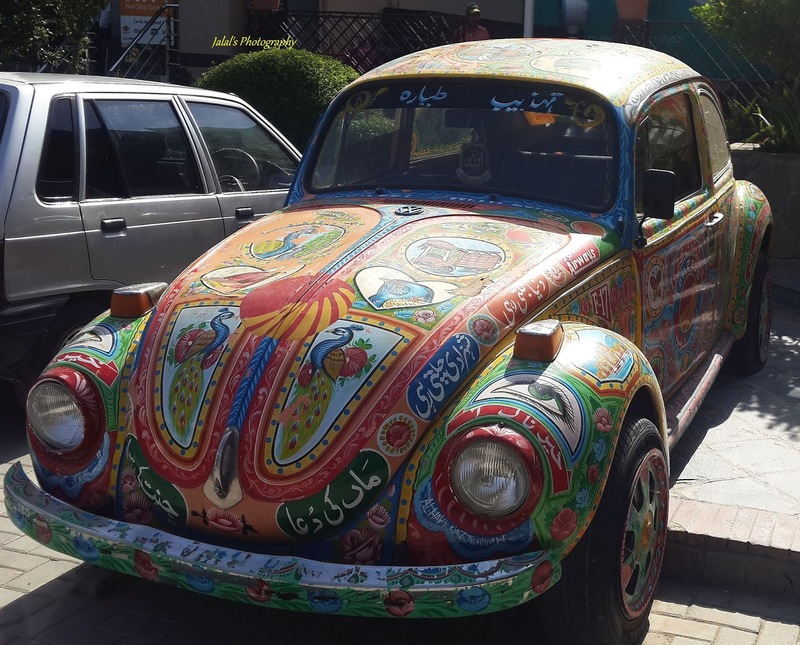 Volkswagen Beetle - Painted in Truck art of Pakistan: Well many would say what a Beetle is painted in truck art of Pakistan. But when one sees what truck art in Pakistan is, one tends to fall in love with it. 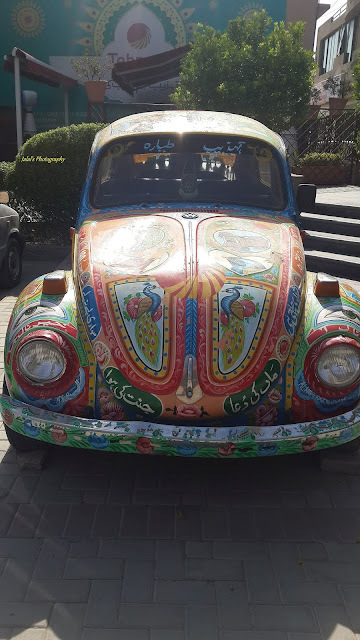 The truck art, on which I have already written two detailed posts (links given at the end of the post),is very unique art applied on the buses and trucks in Pakistan and makes these buses and trucks moving art galleries on roads of Pakistan right from the port city of Karachi to the northern areas of Pakistan. 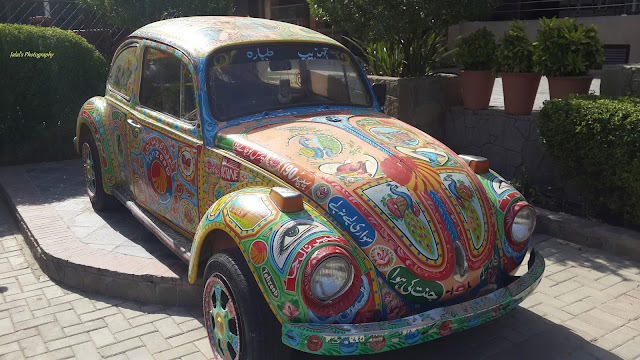 And what is peculiar about this art is that it is done by almost illiterate roadside painters who choose the theme and type to be painted on the clients' vehicles. And when done, it gives an adorable look to the smiling driver's vehicle who drives off gleefully and proud of his colorful possession.